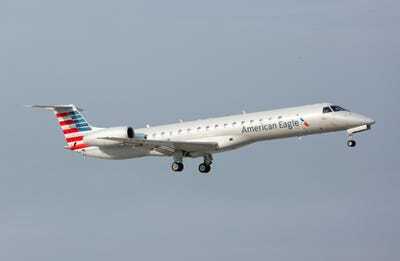 Carlos Yudica/shutterstockAn American Eagle Embraer ERJ-145 jet. An American Eagle flight departing from Pennsylvania struck and killed a deer on takeoff and had to be canceled, according to multiple reports. An American Airlines spokesperson confirmed to Business Insider that on October 23 American Eagle Flight 4952 “returned to the gate after it hit a deer” and that the flight was canceled and passengers were rebooked. TravelPulse.com reported the animal ran in front of the jet as it headed down the runway and that none of the passengers or crew members onboard reported any injuries. According to PennLive.com, the plane was a 50-seat Embraer 145 twin-engine jet with a crew of three and a passenger count of 43. The plane was headed to Philadelphia. An American Eagle flight departing from Pennsylvania struck and killed a deer upon takeoff and had to be canceled, according to multiple reports. USA Today reported an American Eagle regional jet departing from Williamsport Regional Airport in Montoursville, Pennsylvania, struck a deer on takeoff shortly after 6:00 a.m.
American Airlines spokesperson Ross Feinstein confirmed to Business Insider that on October 23, American Eagle Flight 4952, “returned to the gate after it hit a deer,” and that the flight was canceled and passengers were rebooked. TravelPulse.com reported the animal had run in front of the jet as the plane headed down the runway and that none of the passengers or crew members onboard reported any injuries. The deer was killed instantly. According to PennLive.com, the plane was a 50-seat Embraer 145 twin-engine jet with a crew of three and a passenger count of 43. The flight was headed to Philadelphia. In a statement taken from PennLive.com, airport Executive Director Thomas J. Hart said the deer must have jumped the perimeter fence and that it had been years since a deer was seen on airport grounds. 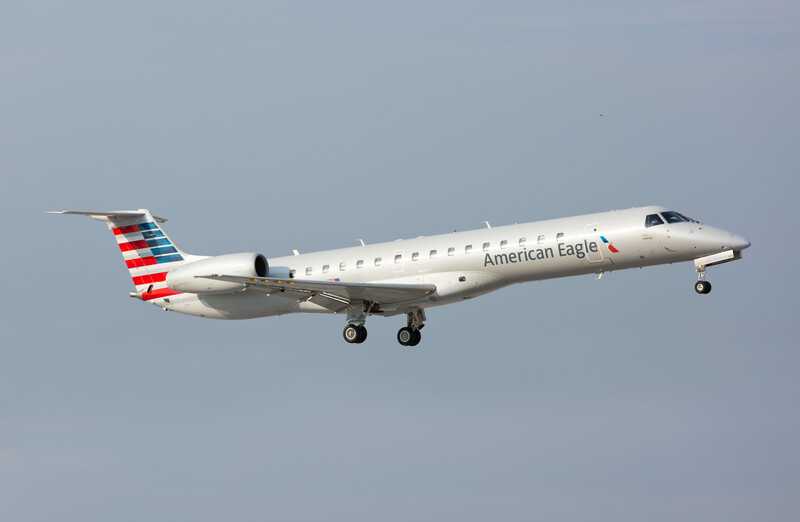 PennLive reports that American Eagle, formerly known as US Airways Express, is operated by Piedmont Airlines, a wholly owned subsidiary of the American Airlines Group.